About 1/4 of the roof panels have been set today. It is nice to walk around the 2nd floor and get a feel for what the space will be like. 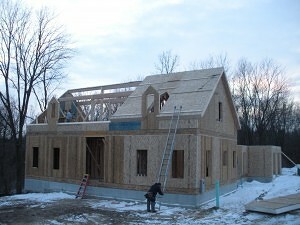 This shot is from the front left corner looking across the front of the house. 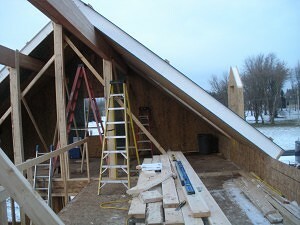 You can see the roof line that will be over the loft and into Savannah’s bedroom. 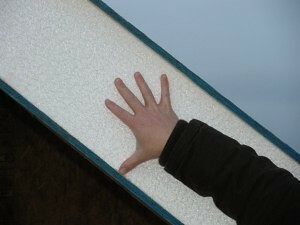 And finally we see how thick the insulation is for the roof. I can’t even span it with my hand.